Notice the 10x zoom indicator. 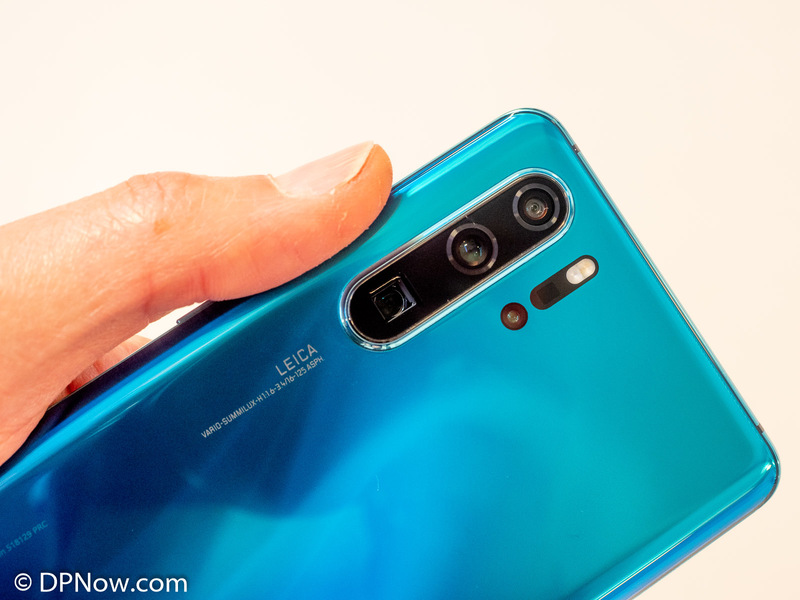 A year ago Huawei built on its already established reputation for photography innovation in smartphones with the P20 Pro. This was the first triple-camera smartphone, featuring a 40 megapixel sensor and a mono camera, plus remarkable low-light capabilities. It also brought AI smartness to the fore. 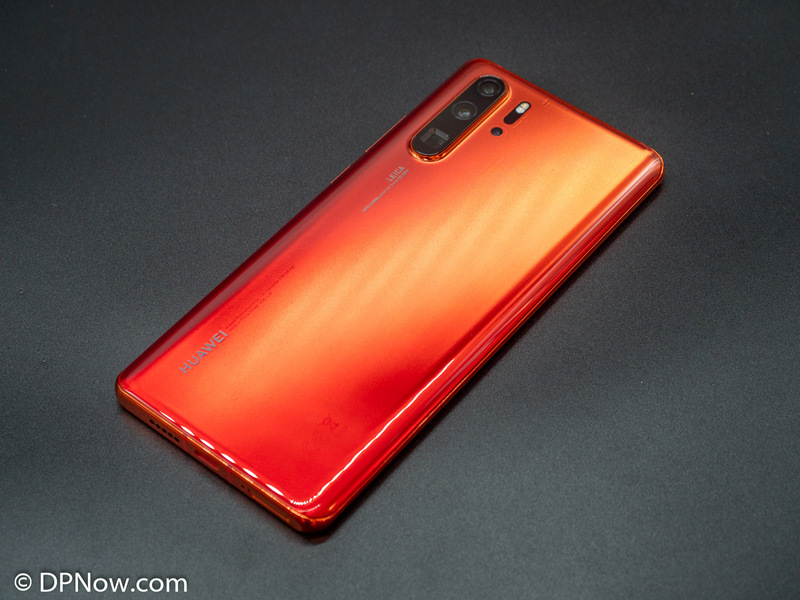 Today, Huawei has unveiled the P30 Pro, and what a successor it is. 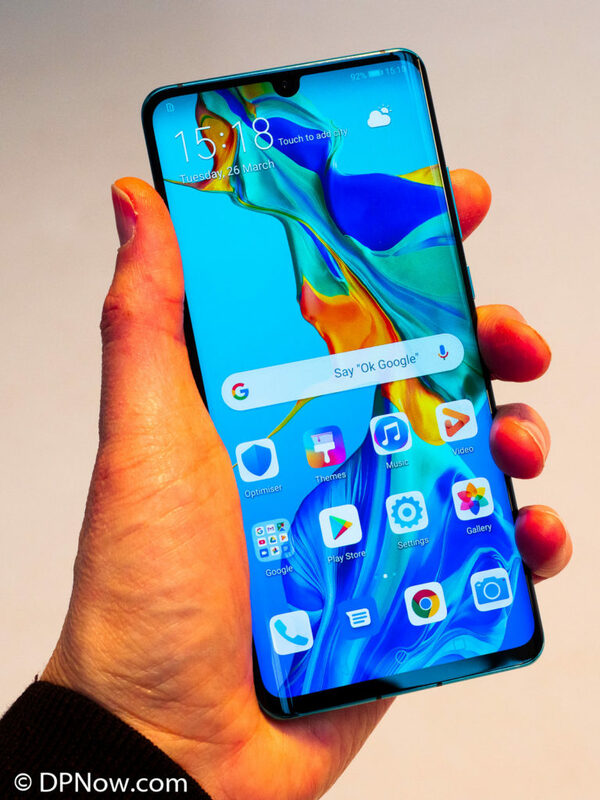 I’ve had the privilege of being briefed by Huawei in advance, which included hands-on use of pre-production samples, though no images taken with these were allowed to be retained. 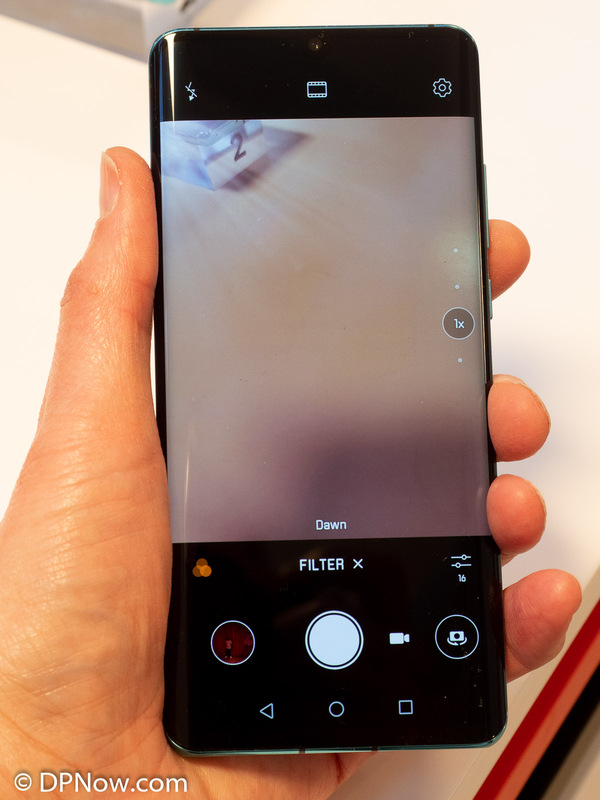 It was widely speculated that Huawei would opt for Sony’s new 38 megapixel Exmor RS IMX607, which features a modified Bayer filter array that incorporates white, as well as red, green and blue (RGB) pixel filters. White (colourless) filters increase light transmission and the effective sensitivity of the sensor. Using the P30 Pro to shoot in almost complete darkness and this is the result. 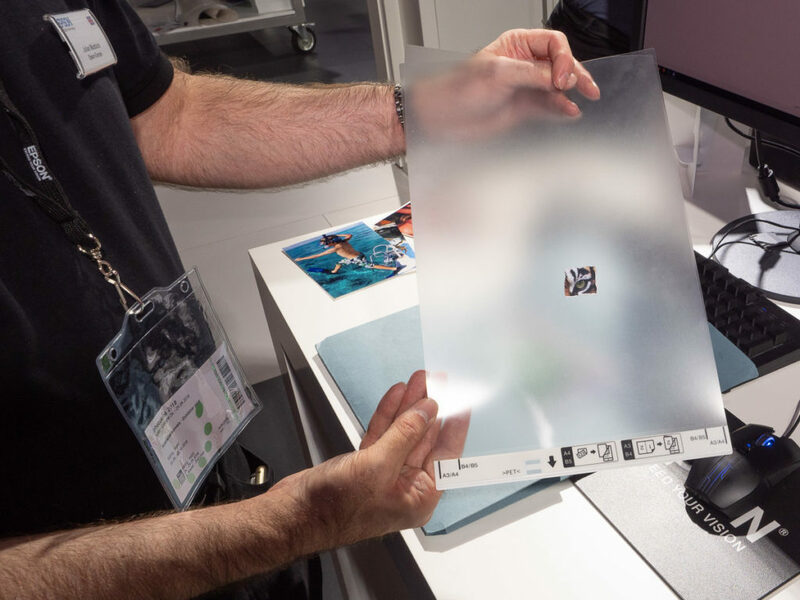 So imagine our surprise when we were told that the P30 Pro uses a sensor that substitutes all the green filters in the Bayer array for yellow filters. Yellow filters transmit substantially more light than green filters. You could call this a RYB filter. 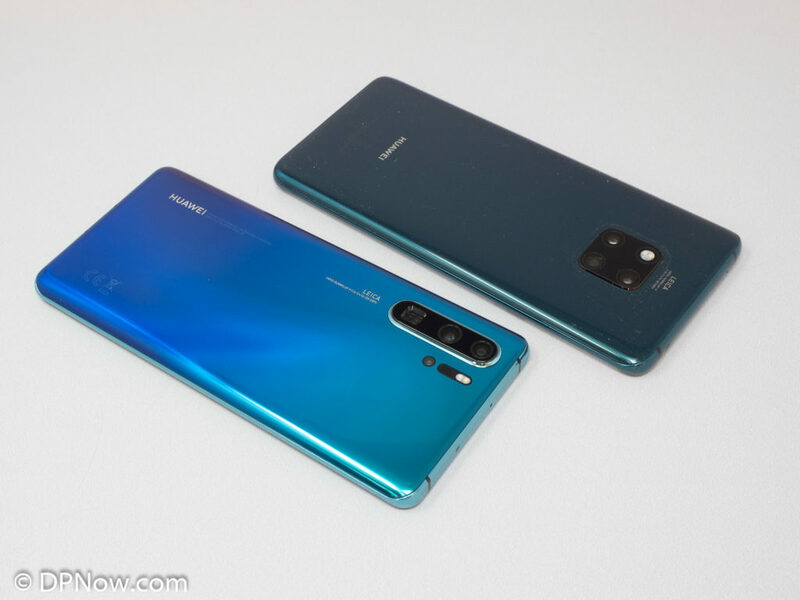 Huawei says this enables the effective maximum ISO sensitivity rating of the sensor to be raised from ISO 102400 on the P20 Pro and Mate 20 Pro to 409600 ISO, or two stops (EVs) extra sensitivity. That’s four times more sensitivity. To back up this seemingly outlandish claim Huawei invited us to use pre-production P30 Pros in an almost completely darkened room. 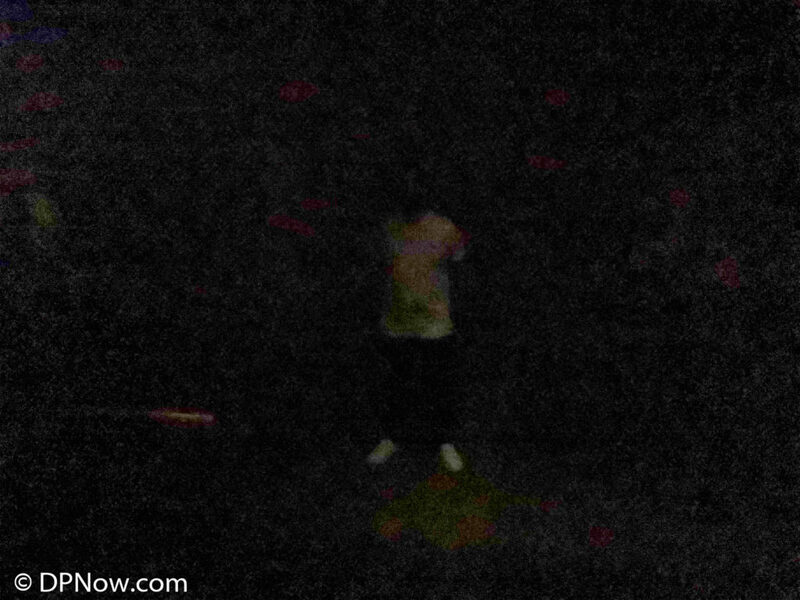 Lo and behold, the P30 Pro was able to record discernable images in what appeared to be almost total darkness. I also tried a Mate 20 Pro at the same time and virtually nothing recorded on the image. Under those conditions the picture quality wasn’t great but I’d certainly be thankful of being able to take a picture, without the need for flash, in certain circumstances, when a typical camera would be unable to. I can’t wait to see for myself if the extra sensitivity of the sensor can be harnessed to improve quality in more realistic low light shooting conditions. You might think that using yellow instead of green Bayer Filter Array pixels would be a recipe for chromatic disaster. 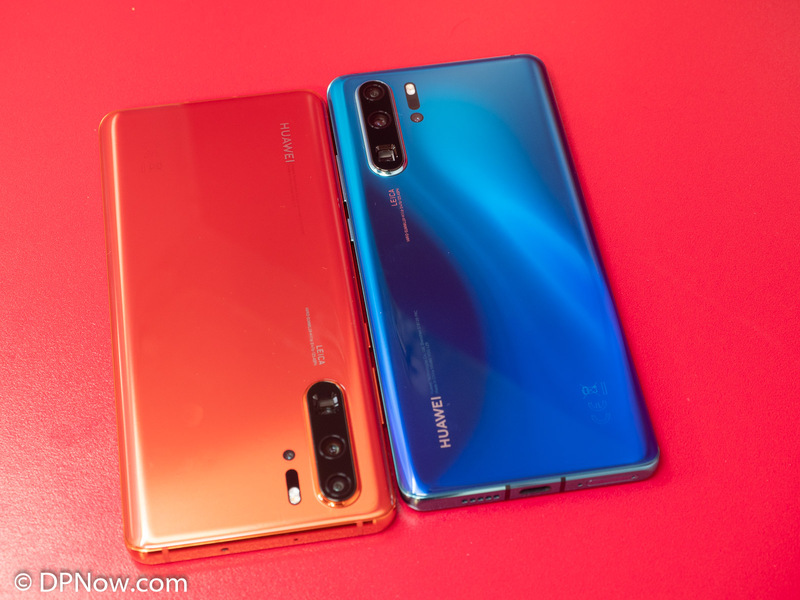 While we were unable to bring shots taken with the pre-production sample devices away with us to show you in this preview article, examination of the P30 Pro results in-phone at the time revealed no obvious colour anomalies. Indeed, top pro photographer and Leica ambassador, Alex Lambrechts, who has used the older P20 Pro extensively, told me the colour and tonal quality he has been seeing in P30 Pro images is discernibly better than the P20 Pro. 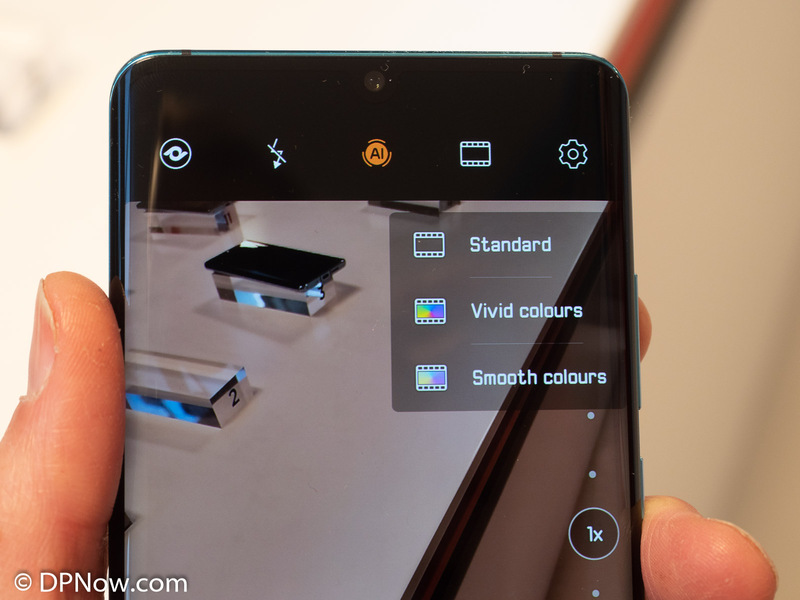 We just have to find out if that’s because the P30 Pro’s new 6.47 inch AMOLED display is better, or maybe the camera and the display are both improved. Alex also says the photographic aperture blur/bokeh effects are processed in a more pleasing way. The camera app no offers better accessibility to settings. What is the ToF camera for? We’ve already seen a ToF camera on Huawei’s sub-brand model, the Honor View20. 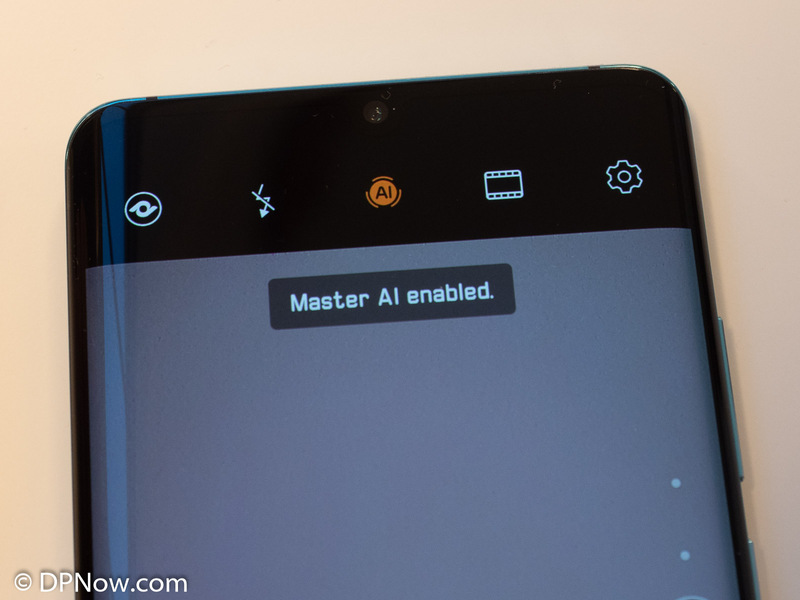 Samsung followed this example in its Galaxy S10+. So what is ToF? It stands for Time of Flight – think of it as a kind of radar or sonar using invisible LED or laser light, transmitted in pulses. This light is reflected back and the time it takes to return to the ToF camera sensor can be calculated in real time as a distance between the phone and whatever reflected it back to the phone. ToF cameras are like digital cameras and they have thousands of sensor photosites and each one can record a distance value, building up a three-dimensional view of what the camera sees. And it can do this in real time. It’s really accurate and potentially better than existing optical image-reliant measuring apps, like Google Measure. You will be able to use it to measure in one and two dimensions and also three, for volume. ToF capability will also boost the power of AR (Augmented Reality) where 3D computer-generated animated graphics are blended with a real scene. The Honor View20 prioritises the use of its ToF camera for gaming; you can model your own body and a game can then sense your body motion for real-time avatar control. 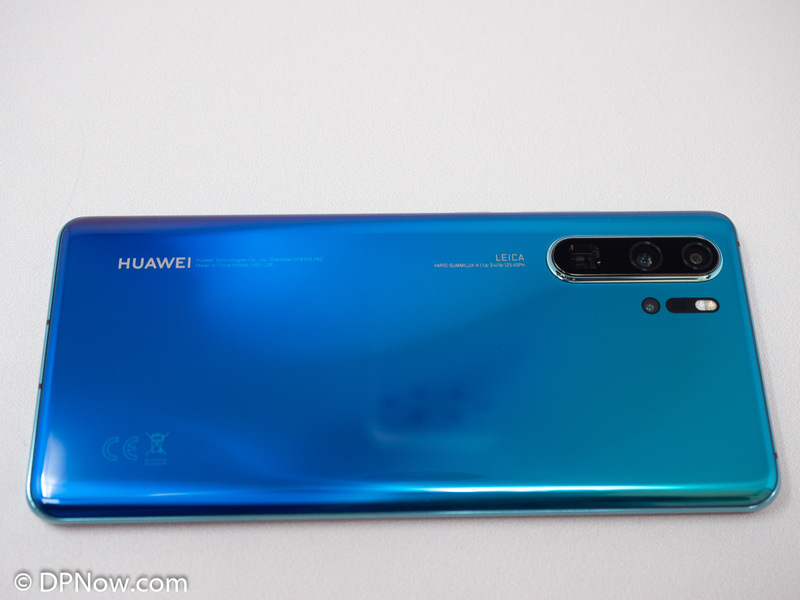 I understand that on the P30 Pro the ToF camera aids the optical cameras to more-precisely sense object boundaries so artificial background blur/aperture algorithms make less mistakes. I suspect that the ToF camera can also assist in focusing and object/scene sensing in dark conditions. 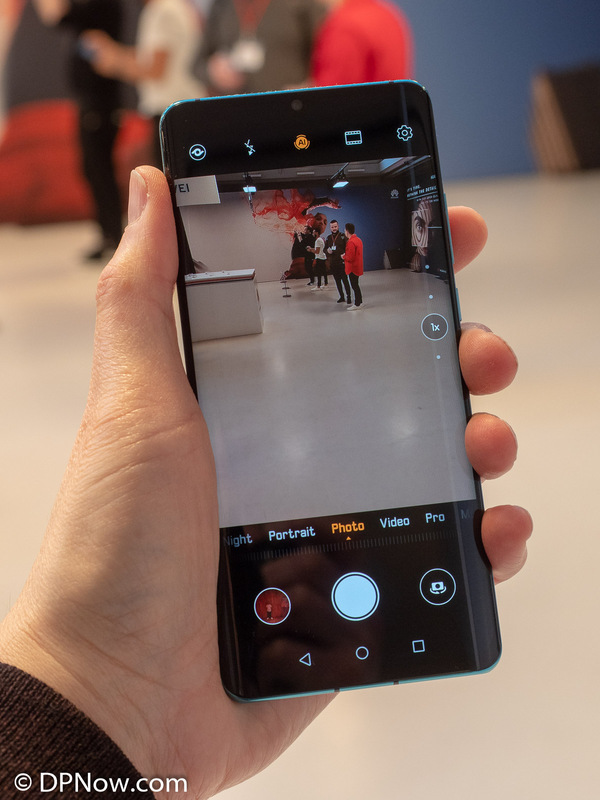 The P30 Pro’s extra-long 125mm (native optical 5x) equivalent telephoto lens camera would have required an unsightly lump in the phone’s otherwise slimline form. Telephoto lenses, by their very nature, have to be long. 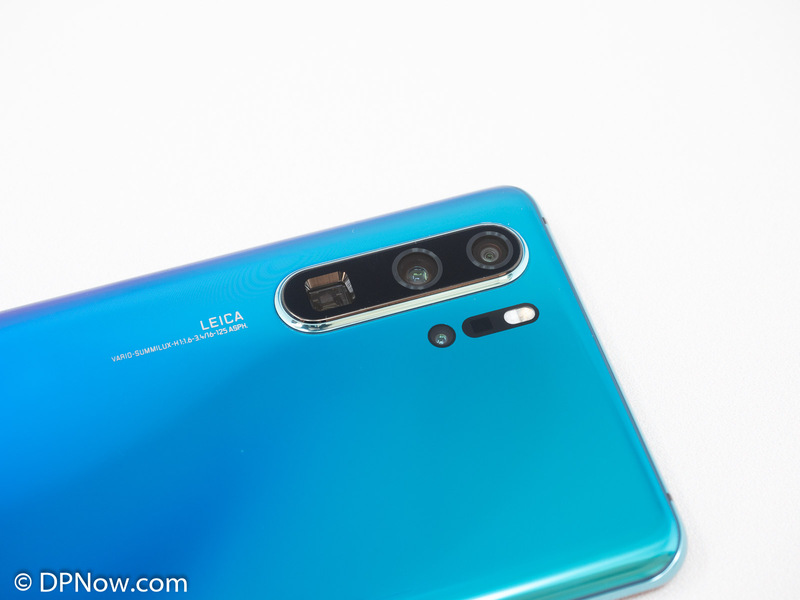 So Huawei and Leica went for a folded-optics arrangement. Folded optic lenses in other more conventional digital cameras have also been around for a long time and for the same reason, to fit a powerful telephoto lens into a slim camera body. 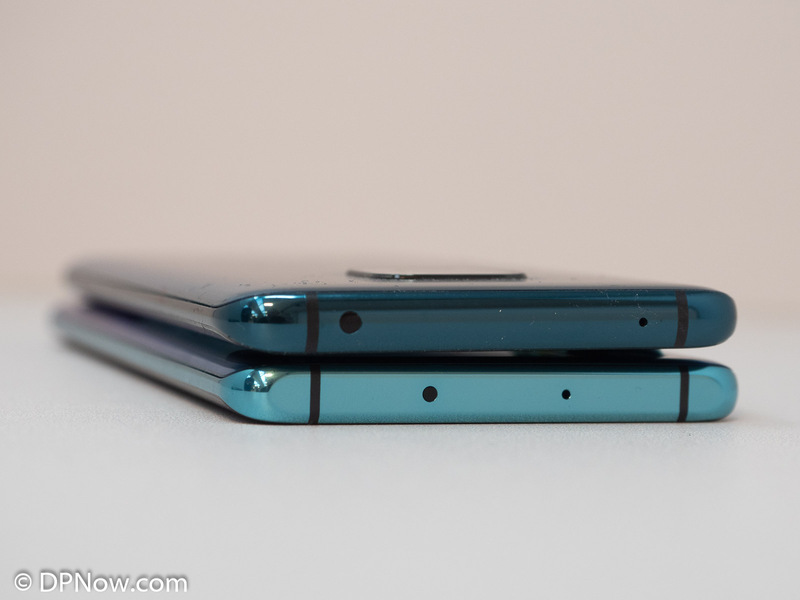 This means the lens elements are stacked 90 degrees between the front and back of the device. A key benefit is that there is less of a compromise on the optical design forced on engineers trying to keep the optics as short as possible. To enable the lens to see in the same direction as the other cameras, a 90 degree prism is used at the top of the lens stack, resembling a periscope. You can tell which is the tele lens because the prism is square rather than round on the camera array. As far as I know this is a first for a contemporary smartphone. Apple did patent a folded optic layout for an iPhone optical zoom lens a couple of years back, though it hasn’t been demonstrated yet. The P30 Pro telephoto lens is a fixed-focal length lens, though seamless bybrid optical and digital zooming is possible in conjunction with the other cameras from 16mm (0.6x) to 125 mm (5x). A lower resolution 10x tele mode is also provide and there is even a 50x mode for emergency use. The P30 Pro’s telephoto camera has a resolution of 8MP, is optically stabilised (OIS) and has a native optical equivalence to a 125mm lens, or 5x the main 27mm (1x) 40MP camera lens. 10x and 50x digital zoom options are available. The ultra-wide camera is equivalent to a 16mm lens (full frame), or 0.6x. There is another tweak to the main camera, which now has a faster (brighter) aperture of f/1.6 compared to f/1.8 on the P20 Pro and Mate 20 Pro. 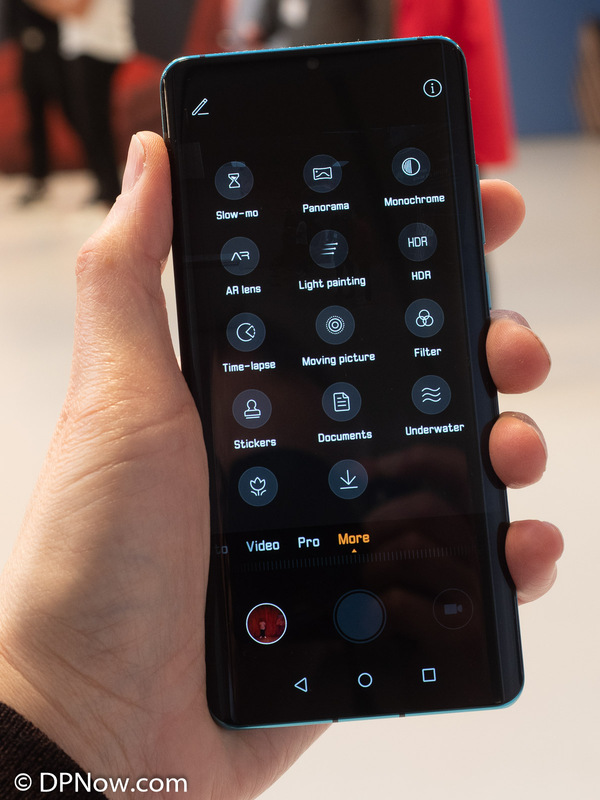 The in-screen fingerprint sensor on the Mate 20 Pro was a cool entry on the features list and a headline-grabber, but in reality it was slower and less-reliable than the P20 Pro’s conventional scanner built into a button-like pad below the display. 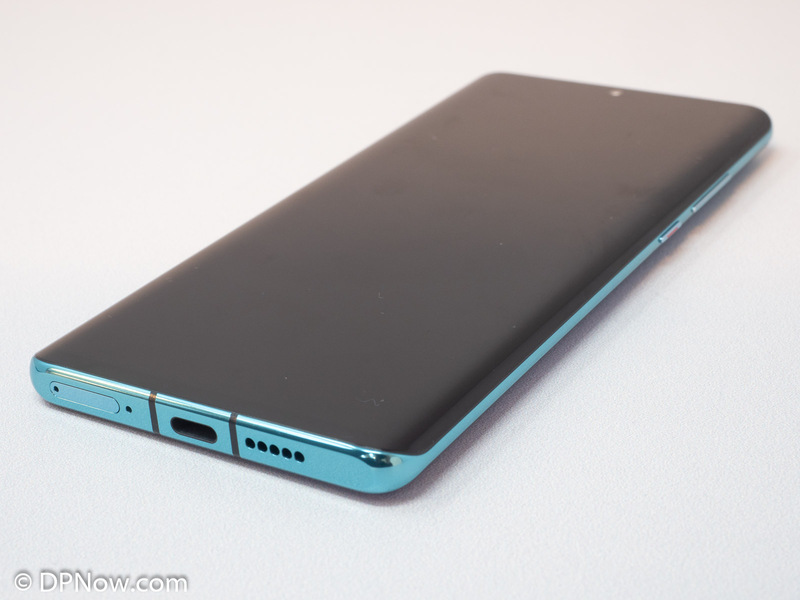 The P30 Pro also has an in-screen fingerprint scanner but I am cautiously optimistic it has been significantly improved after trying it on a pre-production device. It’s also further down the display, which – personally – I feel is a more sensible position. 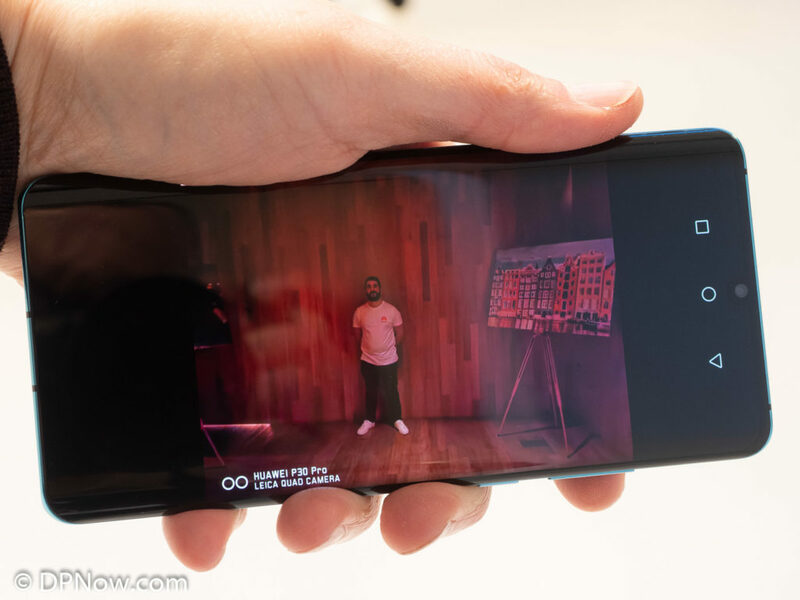 I certainly hope my initial impressions are confirmed because the P30 Pro doesn’t inherit the 3D face sensing IR dot projector of the Mate 20 Pro, which makes that phone fast and secure at face-unlocking, even in darkness. 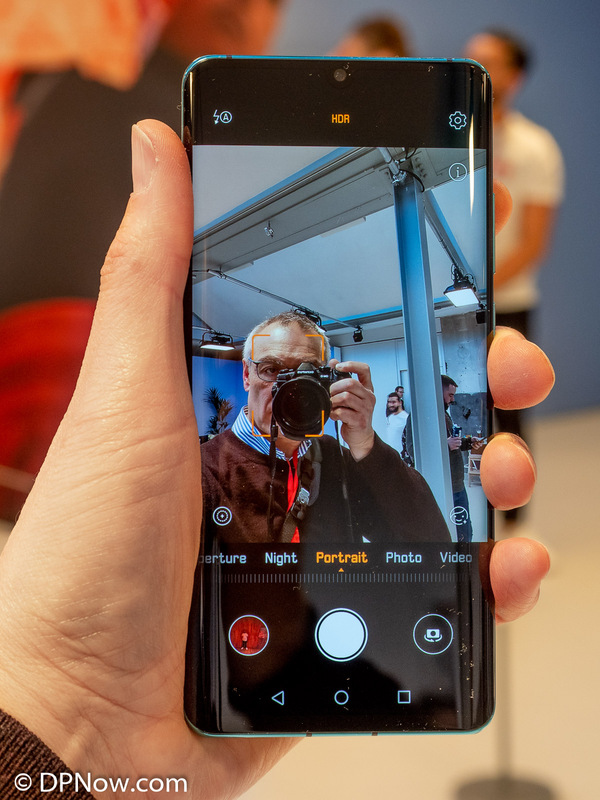 The P30 Pro relies solely on the selfie-camera, which is less secure and not likely to work in low light. The P30 Pro borrows all the power goodies from the Mate 20 Pro, including the huge 4200 mAh battery, 40W charger, wireless charging and reverse wireless charging so you can top-up other devices from your phone. With Huawei’s more efficient HiSilicon Kirin 980 chip-set, more processing grunt isn’t at the cost of huge battery drain. 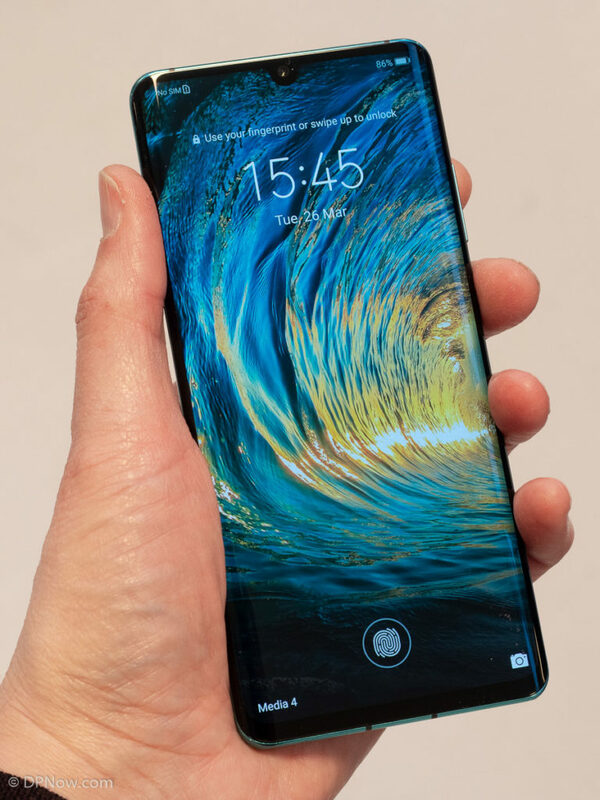 Resolution remains at 1080 x 2240 for the AMOLED screen, which is marginally larger (6.47 inches) than the P20 Pro, so you don’t get the super-fine res display of the Mate 20 Pro, but it’s an impressive looking display, nonetheless. 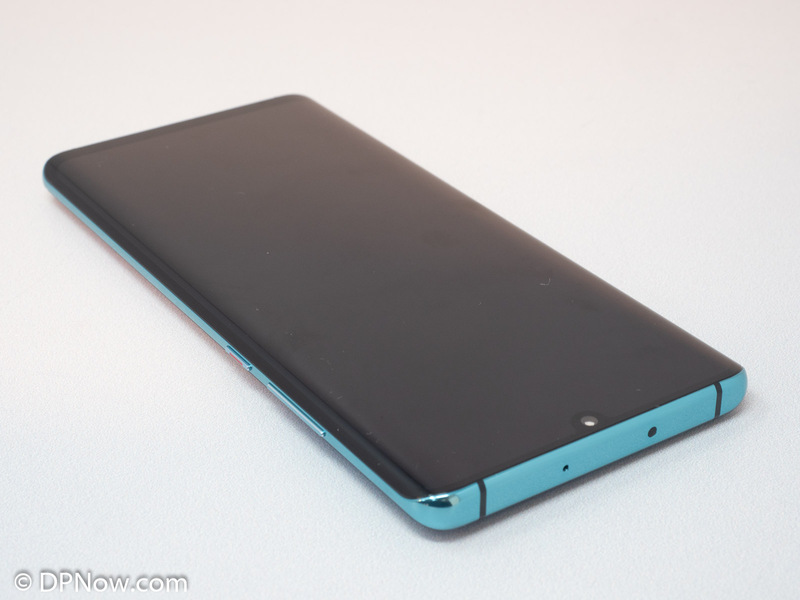 It’s also a curved-edge display, which may polarise opinion. 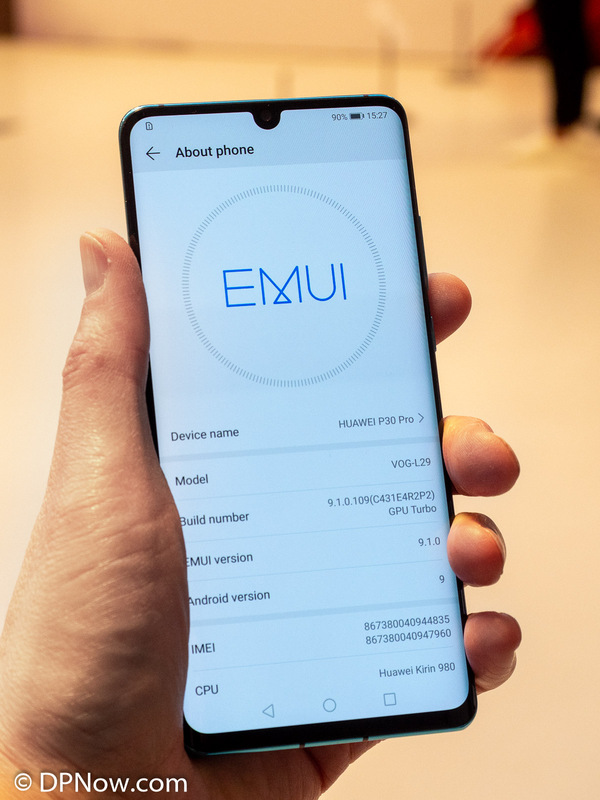 I like this because it makes Android Pie 9 gesture navigation from the sides of the display more comfortable. However, it will severely limit your choice of screen protector options. The Infra red transmitter or IR Blaster has been retained, however, rumours that a headphone socket had made a return are only half-correct; the lower-spec P30 (not the Pro version) gets the headphone socket. 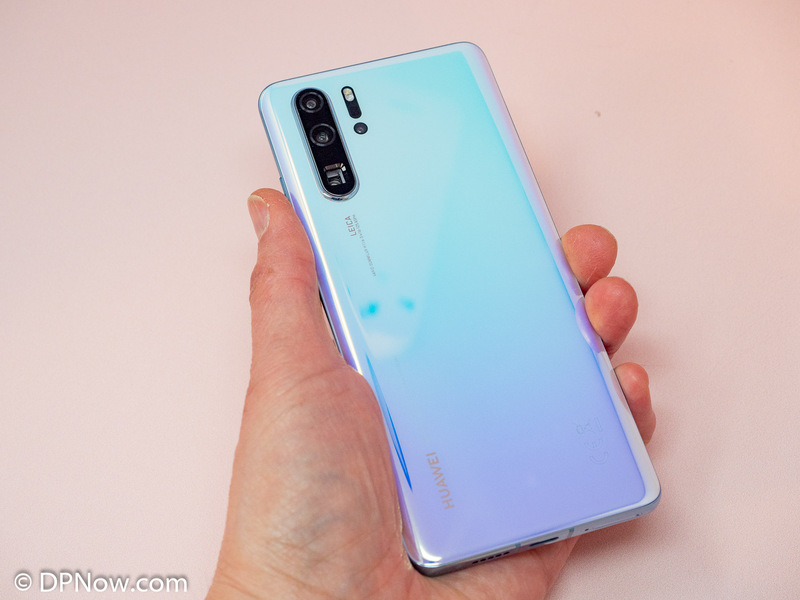 Huawei are constantly tempting us with mesmerising new colours and the P30 Pro has a suitably cool selection, including a pearlescent white, which is my favourite. As a photographer, the radical new RYB sensor and the folded optics 125mm telephoto, with Leica genes, is very exciting indeed. I’ll post my feedback on using a production device as soon as possible; we’ll be provided with a production P30 Pro for testing after today’s launch event. The loss of the P20 Pro’s mono camera will frustrate some. It’s a polarising issue, but my personal view is that I can convert colour to mono effectively in post-processing, with especially good results when shooting RAW. Therefore, the ultra-wide camera, first introduced with the Mate 20 Pro, is very much worth the change. But I do concede this view is not universal. The fact that the P30 Pro gets much of what was, until now, exclusive to the Mate 20 Pro is also very welcome. 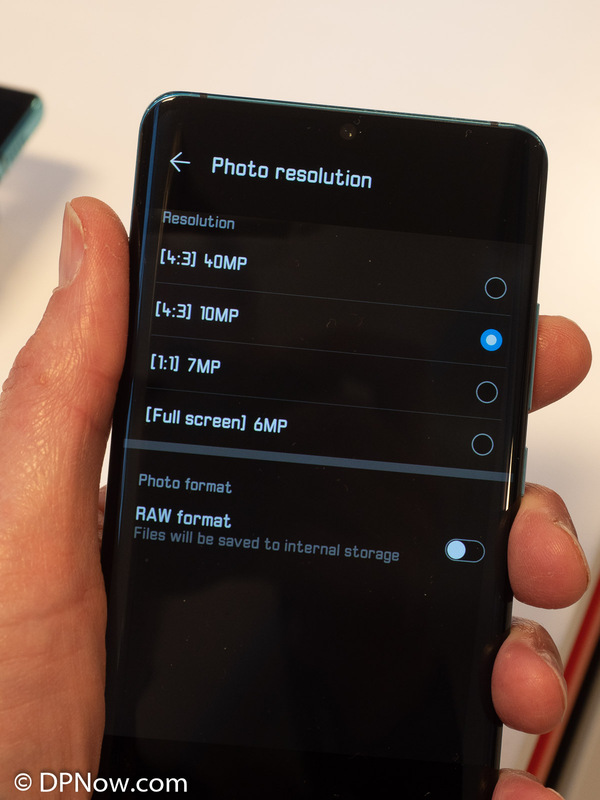 I’m also looking forward to finding out what the fourth ‘camera’ – the ToF camera/sensor contributes and if it makes noticeable improvements to the photographic capabilities of the P30 Pro. There’s so much to report back on! Watch this space. 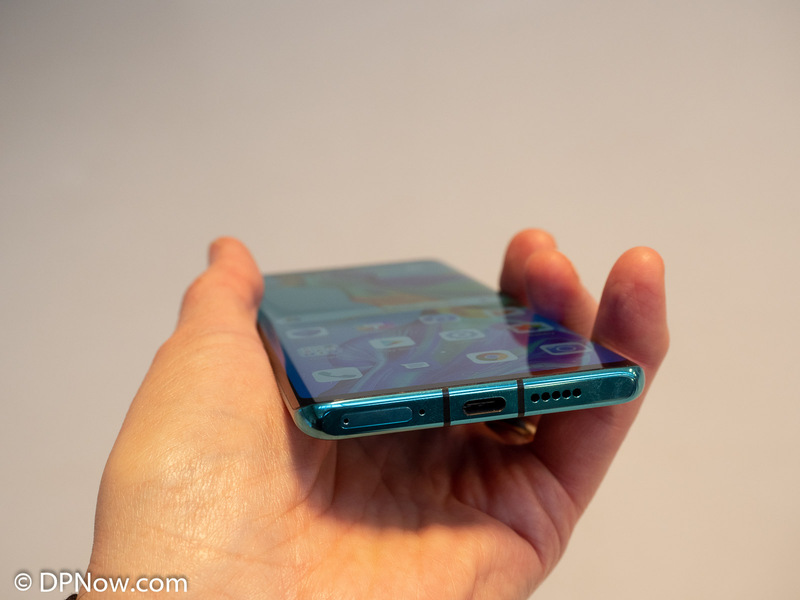 Cameras and ToF sensors, galore, plus an amazing folding display smartphone/tablet - Samsung has announced its Galaxy S10 range and the Galaxy Fold. Is a dedicated camera bag necessarily the only option for carrying camera gear, especially with a laptop. We look at the Riutbag R15.3 laptop backpack to find out if it passes muster as a dual-purpose bag for photographers. Photography powered by AI continues to be the primary lure for Huawei's impressive new Mate 20 series of premium smartphones. We were at the global launch. 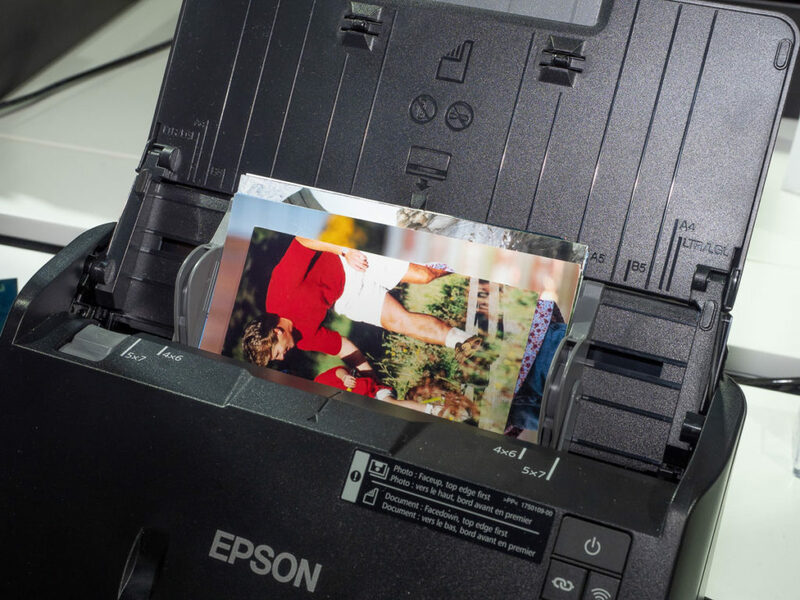 The Epson FastFoto FF-680W is a very clever solution to a familiar old problem. What are the odds that you have a box (boxes?!) or a drawer full of odd-size photos lying about the house? Wouldn’t it be great to scan them so you could share them conveniently via the cloud or social media? But have you tried scanning dozens or more old prints? It’s a thankless task and it takes ages. A quick demo of Epson’s new and unassuming-looking FastFoto FF-680W scanner at Photokina genuinely wowed onlookers. The FF-680W’s feeder is remarkably unfussy; you can place a wad of of different size prints up to A4 dimensions into the feeder and they will processed by the scanner without any fuss, one by one, at a rate of about one print per second. The companion software then automatically crops the prints and even scans the back of each print to detect written or other notes, which are also scanned and saved as images linked to the front image. You can configure the software to automatically upload the images to Google Drive, Microsoft OneDrive or DropBox. For a stack of, say, 30 prints, the whole process takes literally no more than a couple of minutes. You really have to see it working to appreciate how clever the Epson FastFoto FF-680W is. So is the Epson FastFoto FF-680W too good? in a sense, some will think so once they learn the prospective price, which is around €600. The FF-680W is not aimed at household consumers. 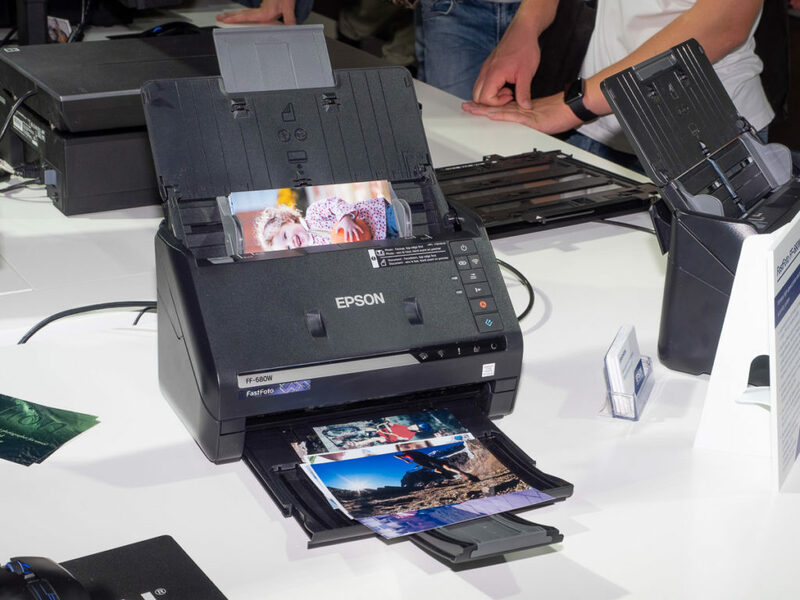 Instead, Epson hope you will see them in retail locations for customers to use as a service and for other companies to offer photo print digitising services. A rather lovely anecdote shared with me by the Epson staffer, Julian Maddock, demonstrating the FF-680W on the Epson booth here at Photokina was that an elderly gentleman produced a Photokina pass and ID from way back in 1954, In fact the person first started attending Photokina in 1950. Of course, the precious souvenir from 1954 was duly scanned by a FF-680W for posterity. You can even scan items as tiny as stamps using a supplied carrier sleeve. The Epson FastFoo FF-680W in America and will start shipping it in Europe at the end of the year. You can find more information on Epson’s website. 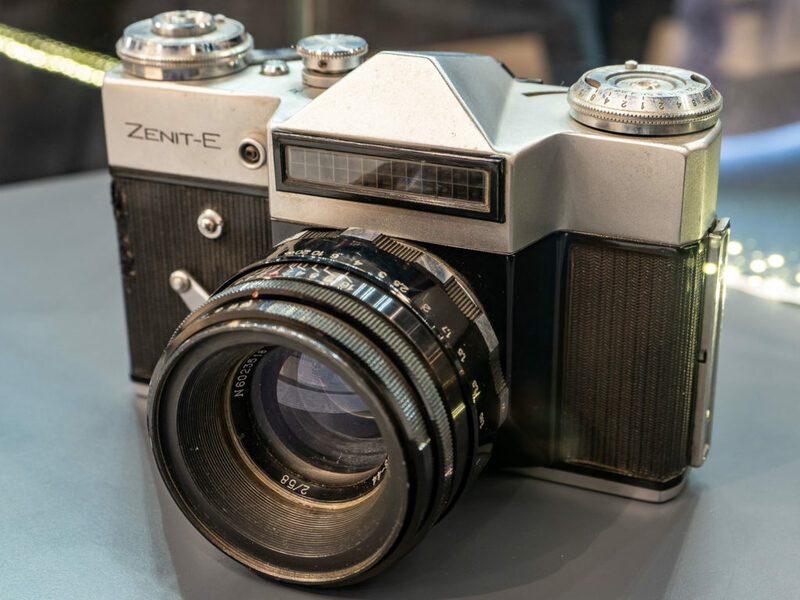 The Russian Zenit is making waves at Photokina this week. We’ve been to the Zenit booth to find out what all the fuss is about. We’re in Cologne, Germany for Photokina 2018 and it’s a German company that keeps on making the headlines this week. That company is Leica. 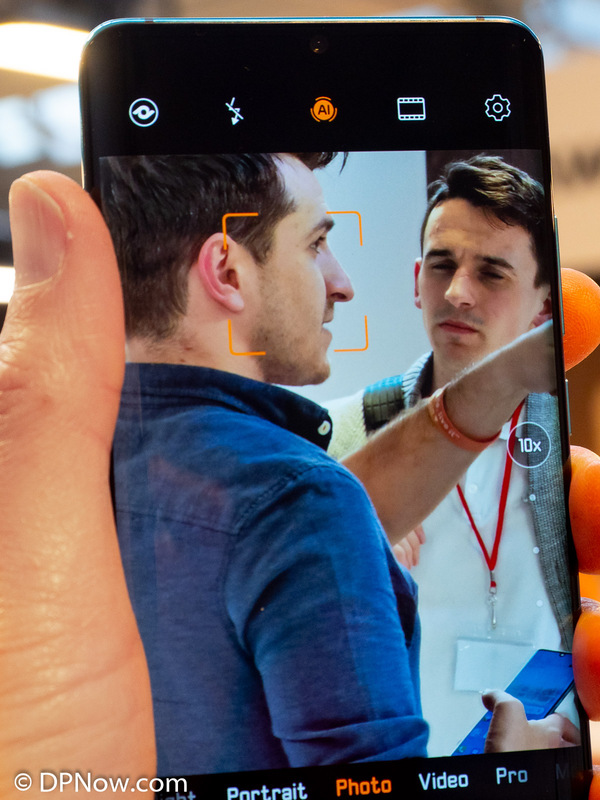 Next to the Leica booth is Huawei, whose premium smartphone models, like the innovative triple-camera P20 Pro, use Leica-branded optics. Leica also revealed it has licensed the use of its mirrorless system L-mount to its long-time partner, Panasonic Lumix. Even Sigma’s CEO was a guest at Leica’s Photokina press conference. So who else might we find with Leica-related news? Zenit of course. Zenit? Who are they? Some readers will be familiar with the name. Back in the 60s and 70s Zenit, a Russian manufacturer, produced primitive and cheap SLR cameras and lenses popular with beginners. But Leica represents the exact opposite end of the camera spectrum. 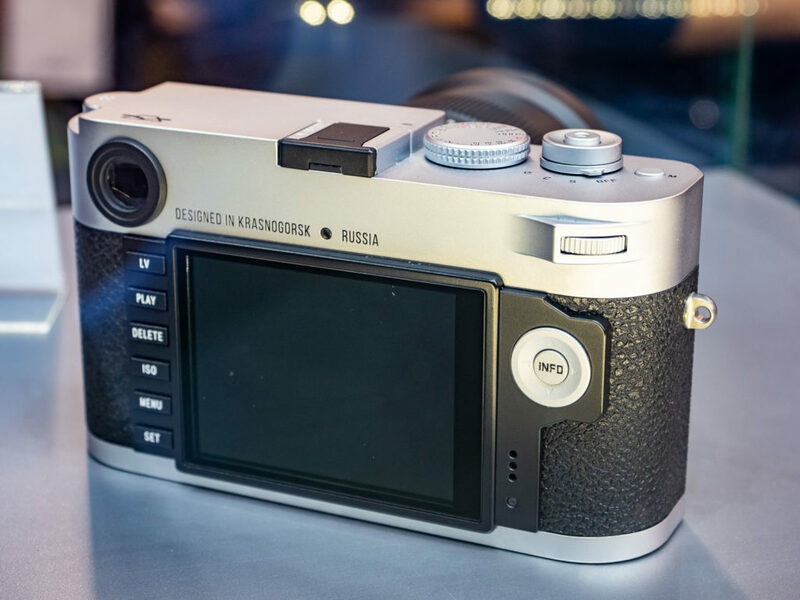 So how could Zenit somehow join forces with Leica? Well, it’s happened. 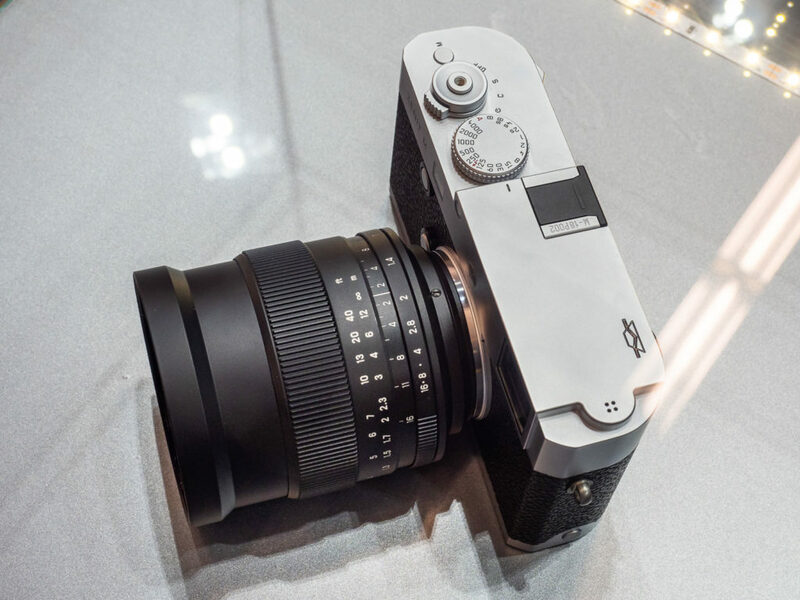 Zenit is showing a digital full frame M rangefinder clone. It’s a limited edition camera bundled with a remarkable 35mm f/1.0 Zenitar branded lens. Designed in Russia, made in Germany? Etched on the back of the Zenit M body is the message ‘Designed in Russia’ though I understand the body is actually produced at Leica’s Wetzlar facility in Germany. It certainly contains Leica components, Andrey Verfolomeev, vice president of the Zenit company, confirmed to me. The Zenitar lens, however, is entirely the work of Zenit, both designed and manufactured at the company’s Krasnogorsky base near Moscow. Verfolomeev points out that much of their work is for the Russian military, so the optics of the Zenitar 35mm f/1.0 can be expected to be top-class. 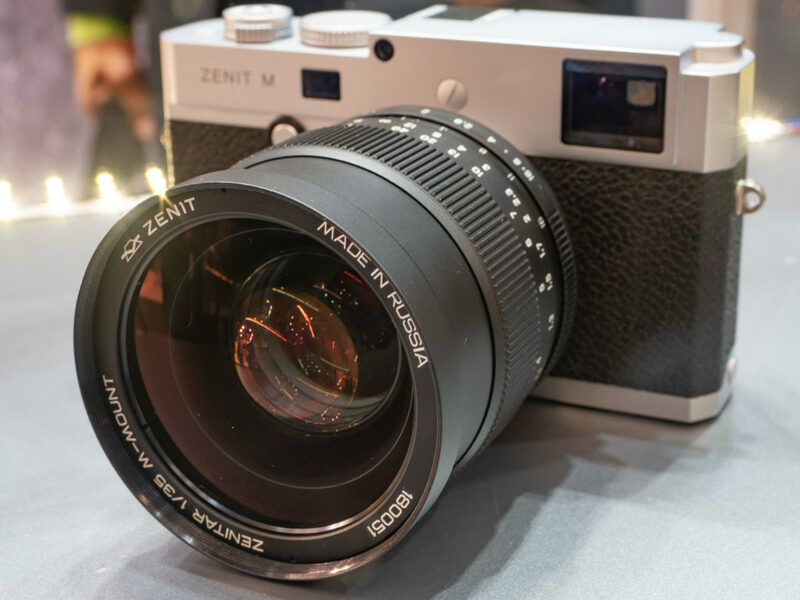 Just 500 Zenit M and Zenitar 35mm f/1.0 combos will be produced, according to Verfolomeev, 450 of the bodies will be light grey (it’s a matt grey, not the customary silver) and only 50 will be black. The price is €5,500 and most are reserved for the Russian market, though around a hundred will be available to European buyers. If you’ve used the old cheap Zenit film cameras, you may recall the strong Russian leather odour that came as a no-cost extra. Apparently, the leather used on the Zenit M has been specially chosen to match the hide used back in the old days. 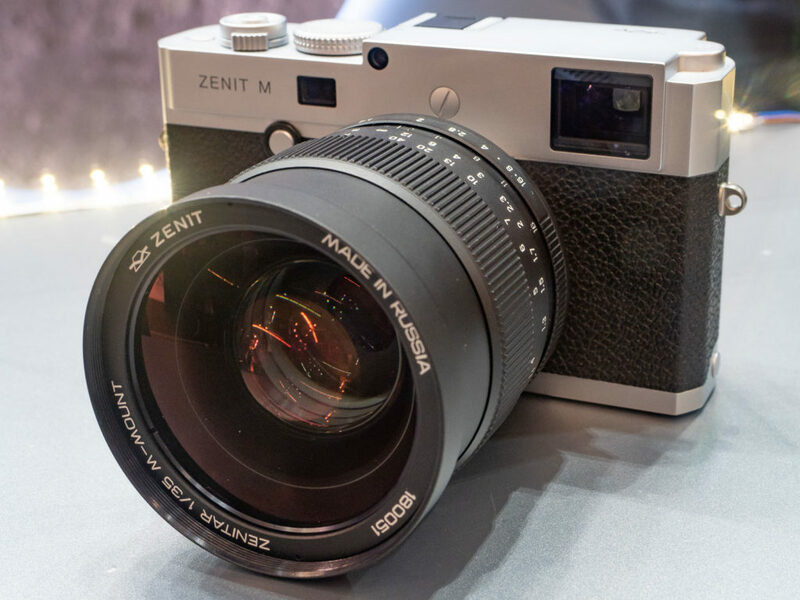 Verfolomeev says Leica and Zenit have been working on the Zenit M project for two years and it owes much to the enthusiasm of Dr.Andreas Kaufmann, chairman of the Leica Supervisory Board. Fundamentally, the project is designed to remind everyone, in Verfolomeev’s words, “that we’re still here”. 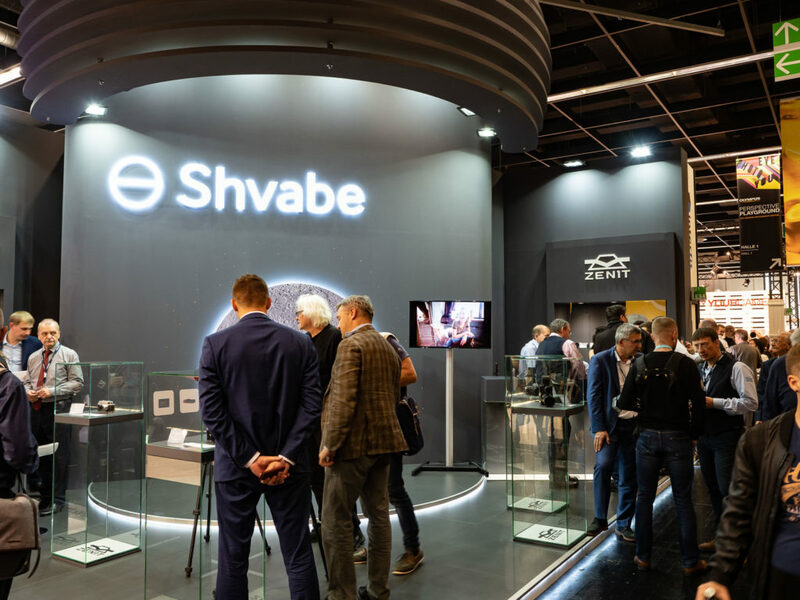 Zenit, which is owned by the Russian state holding company Shvabe, employs 3,500 people and apart from its military work, the facility is gearing up to produce more mainstream cameras and lenses. A range of Zenit lenses compatible with a variety of camera mounts is already on the market and the 35mm f/1.0 design will eventually join the rest of the range. While the Zenit M is a strictly limited-edition model, less expensive successor camera models are in the pipeline and these will sell at a lower price, if not at the bargain basement prices of notorious old Zenit Bs and Es. Watch this space!